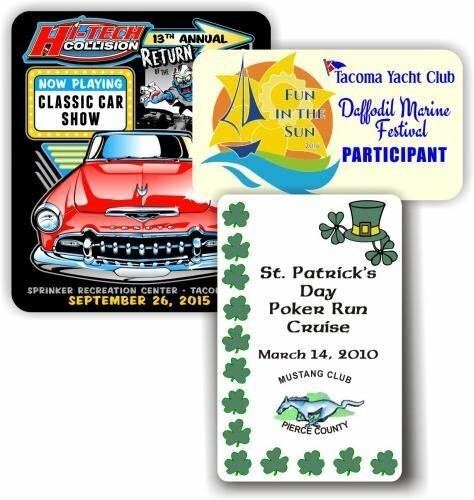 Dash plaques are a great way to commemorate an event or special occasion. Available on gold, silver, or white aluminum, with three size ranges priced to fit your budget. Our "Economy" size is 1.9 inches by 3 inches, your choice of vertical or horizontal. "Standard" size is any other dimension up to 8.75 square inches (for example, 2.25" x 3.5", 2.5" x 2.5", etc.). "Oversize" is any dimension between 9 and 12 square inches (for example, 3" x 3.5", 2.75" x 4.25", etc.). All dash plaques include rounded corners and are individually bagged. 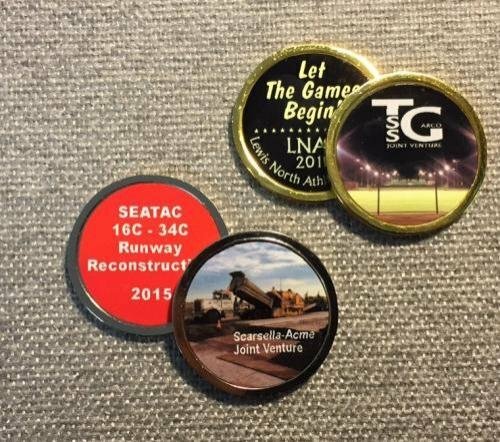 We can help you design your dash plaque, but you should have a general idea of the design you want, including any logos or graphics in high-definition digital format. Completed artwork may also be submitted as high-definition .jpg or .png files with fonts converted to curves. Place in cart to view quantity pricing, order online, specify text and attach graphics/pictures/logos, and select in-store pickup or other shipping method. Production lead time for this product is 7 days. This product has a minimum order quantity of 50.